James E. Freer Elementary | Let Chartwells Supply Your Child’s Birthday Treats! 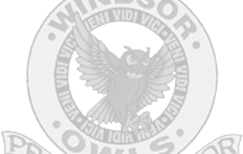 The safety of our children is of the utmost importance to the Windsor C-1 School District. We have many students with a wide range of severe, life threatening food allergies. It has become exceedingly difficult to verify ingredients in every food product that is brought to school for birthday celebrations. Starting in the 2015/2016 school year, ALL birthday treats MUST be ordered from Chartwell’s Food Service. These treats will be allergen safe for most allergies and will be sold at COST, no profit will be made by Chartwell’s. We will be providing an updated list of treats and the list and order forms will be made available on the school website and in the school’s office. A 2 week notice will be needed when ordering from Chartwell’s. We appreciate your support and understanding as always in our attempt to provide a safe environment for all students. Please visit our main page for more information.